During the holidays, there are two kinds of people: those who are essentially Buddy the Elf IRL, and those who are the Grinch. There are no other options, do not fight me on this. If you are a Grinch, I’m going to take a wild guess and assume that Hallmark movies and Netflix specials where Vanessa Hudgens falls for the prince of a random country don’t do it for you. If that’s the case, there’s a seasonal true crime series perfect for your tiny little lump of coal heart: Oxygen’s Homicide for the Holidays. 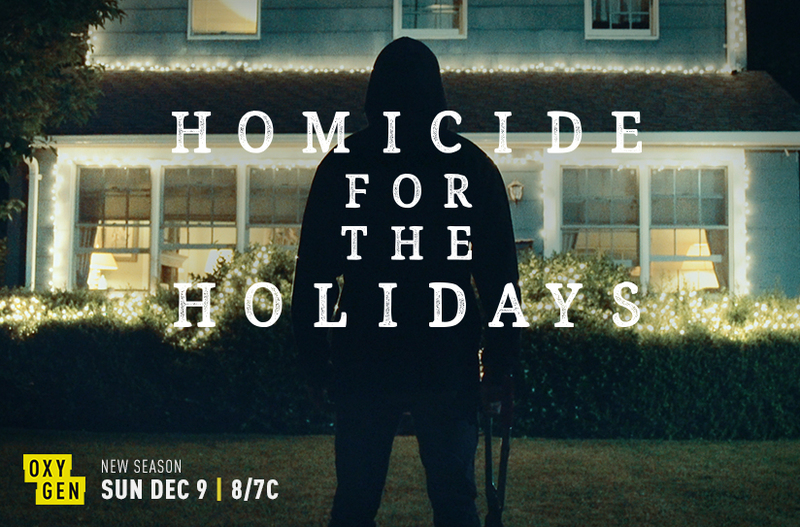 The third season of Homicide for the Holidays premieres December 9, and it’s basically the perfect cure for your holiday season Sunday Scaries. It’s exactly the kind of show you can half-watch with an eggnog hangover. If you’re wondering why you may have missed this last year, it’s probably because you’re either a) late to the true crime party or b) you never watch cable. If it’s the latter, you can catch up on the first two seasons on Amazon. Each of the season’s three episodes tells the story of a brand spankin’ new murder. There are tons of really bad (read: good) reenactments and unhelpful interviews with investigators who make general statements you already know, like “one of the hardest parts of my job is telling a victim’s parents that she’s been murdered.” F*cking duh, Detective Obvious. Nevertheless, the show is terrible in an “oh my god, we have to watch this,” way, so it’s def worth at least three hours of your time. I’d also like to mention that this is the perfect tool to keep in your back pocket when your roommate wants to watch something “Christmassy,” but you physically cannot watch A Christmas Story one more time without losing your sh*t.
This year’s merry murders include “Christmas Rager,” the story of a 19-year-old mother whose strangled body was found inside an abandoned burning car near Minneapolis a few days before Christmas, “Silent Night,” where a mother and her two daughters are found shot to death in their home after they miss Christmas dinner with their family, and “Bloody New Year’s,” which investigates a serial killer who strikes around NYE. Props to whoever came up with these borderline insensitive episode names, because they have as little chill as I do. So, yeah, set a reminder in your phone for December 9 at 8pm, so you can actually watch something decent on a Sunday night rather than just scroll through memes on Instagram. Obsessed with all things true crime? Listen to Not Another True Crime Podcast, where we talk about all the sketchy sh*t you love. Previous articleThe limo that crashed and killed 20 parties failed inspection. And the driver wasn’t properly licensed.